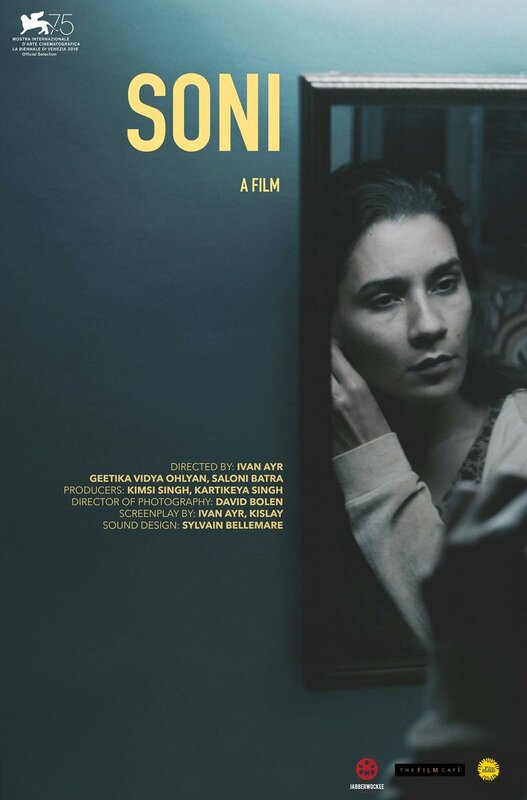 Ivan Ayr’s debut film Soni, which is making its world premiere at the 75th Venice Film Festival under the Orizzonti Competition category just released its first look poster and trailer. It is the only Indian feature to compete at the festival. Soni had won the Facebook Award for Best ‘Work-In-Progress’ Project and Prasad DI Award for the Best Film In ‘Film Bazaar Recommends’ section at NFDC Film Bazaar 2017. The film has a running time of 97 minutes and features newcomers Geetika Vidya Ohlyan and Saloni Batra in lead roles. The producers are Kimsi Singh and Kartikeya Narayan Singh, whose previous credits include the 2015 Cannes Un Certain Regard Selection Chauthi Koot.